The meeting of the economic Council under the President, the first in two years, will become a kind of brainstorm, said today the President’s press Secretary Dmitry Peskov. Submitted it on may 25, perspective on the development of the Russian economy will be taken into account by those responsible for the economic development of our country”. “Showcases a variety of expert points of view, you know, they’re already actively sets out in the media. Is and [Alexei] Kudrin and [Boris] Titov and [Sergei] Glazyev, and other participants”, — Peskov has announced. Earlier, presidential aide Andrei Belousov told “Vedomosti” that the members of the Council, among them Prime Minister Dmitry Medvedev, first Deputy Prime Minister Igor Shuvalov, Deputy Prime Ministers Olga Golodets and Arkady Dvorkovich, will hear three reports from the Ministry of economic development, the Stolypin club “Business Russia” and Centre for strategic research (CSR), whose Chairman was recently appointed former Finance Minister Alexei Kudrin. He also headed the working group “Priorities for structural reforms and sustainable economic growth” in the framework of the presidential economic Council. While Belousov stressed that the Council will discuss how to achieve 4-percent GDP growth in the medium term. All participants, according to assistant to the President, agree that such growth is possible. On Monday, a meeting of the working group at the economic Council, under the chairmanship of Alexei Kudrin. The group heard reports from the Director of the Center of development VSHE Natalia Akindinova, Deputy Chairman of VEB Andrei Klepach and head of the Economic expert group Evsey Gurvich. “Alexei Leonidovich [Kudrin] has heard the point of view and will formulate an agenda that will draw attention to the fact that the priority for the Russian economy, already on the economic Council”, — said the member of the working group, the Director of the Fri of the Ministry of Finance Vladimir Nazarov. According to him, Kudrin on the Board and will present a summary of the reports of the working group. The experts discussed the law enforcement reform, the reform of supervision and control, business climate, pension reform. Kudrin told reporters that he is a supporter of mandatory funded system. “I see the main task of the meeting to be the President, and that meeting, which was today, to determine the diagnosis, what is the main obstacle for economic growth. Hence we can identify the main directions of our steps to lift economic growth,” said Kudrin to journalists (quoted by “RIA Novosti”). How to treat the Russian economy, Kudrin, the group must say at the beginning of next year, and their actions, she will coordinate with the experts who prepare the “Strategy-2030”. Group Chairman of the CSR will work on multiple topics, from budget to security, and will meet once a month. The next meeting devoted to the budget policy, scheduled for July. According to Nazarov, on the meeting of the group of “many copies have been broken concerning the money issue”, which is offered by the Stolypin club, the report “Economics of growth”. Himself Kudrin told reporters that the working group did not support this idea. According to Kudrin, the economic problems must be solved by reform, not pumped with cheap money. The members of the Stolypin club, according to Nazarov, acted “for the target issue, but they were a minority”. Discussion may continue at the presidential Council. In the presentation of the CSR report, as reported by “Vedomosti” (presentation is available), States that the problem of the Russian economy is to slow the so-called structural growth — long-term components of growth, determined by fundamental factors (labor and capital resources, technological progress, quality of institutions). The other two components, foreign trade and market (the first is mostly linked to oil prices, the second — with the business cycle), to hope no longer: in 2015 both made a negative contribution to GDP growth. CSR believes that the need to accelerate structural growth to 4%, but to ensure that by 2019, you will need to bring into the economy an additional 4.5 million people and 40 trillion of investment in fixed capital. Otherwise, economic growth will only be possible due to the opportunistic component. To new conditions of trade sanctions and low energy prices) can be adapted, if to reduce the budget deficit to 1% of GDP for three or four years (now the deficit is projected at 3-3. 5% of GDP), convinced the authors of the report. CSR sees three scenarios on how to do this: reduce the deficit by a nominal 10% of sequestration costs (from 15.9 trillion to 14.2 trillion); not to reduce nominal spending, but the inflation rate needs to be 1 PP higher than in the macroeconomic forecast (the budget expenditures in real terms will fall more); to save costs, but to increase the GDP growth rate to 4% in 2018 or 2019. The latter scenario seems optimal CSR experts. Inflation should be stable and predictable — at the level of 3-4% per year, according to the presentation. The Ministry of economic development believes that a return to previous growth rates of 5-7% a year is impossible, even if the price of oil above $50 per barrel, reported TASS with reference to the materials of the Ministry for economic Council. The potential growth of the Russian economy — 2% per year, but this can be increased to 4%, believes the Ministry of economic development. 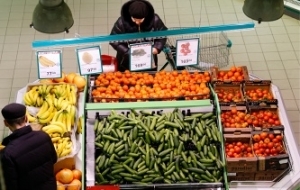 Basically, the indicators will grow at the expense of active investment, which is expected to increase by 7-8% per year, describe the proposals of the Ministry, “Vedomosti” and “Kommersant”. Investments in this case should be the main driver of the economy, and consumption will stand still and will depart on the second plan. The Ministry also proposes to create a budget infrastructure funds, so they will not be counted as government spending in the new budget rule and, therefore, will be protected. Budgetary support to the Ministry of economic development calls for the provision is not problematic to companies and exports, including through Roseximbank and EXIAR, the Russian export and center. Export-related procedures, such as VAT refunds, customs control, etc., need to simplify. “At the moment the Russian economy is stagnating, said, according to TASS, the materials of the Ministry for economic Council. — The recession largely ended, the economic cycle is close to the low point. In some moments we are already seeing signs of recovery, which will continue in the medium term”. The representative of the press service of the Ministry stated that the materials for the Council is still preparing. Also, the press-service of the Ministry released on the website a denial that “the main proposed mechanism to strengthen the dynamics of GDP in the coming years (up to 5% of GDP per year) is to encourage investment by limiting consumption” (wrote about this “Kommersant”). In turn, the business Ombudsman Boris Titov and his associates of the Stolypin club (among them, for example, the Deputy Chairman of Vnesheconombank Andrei Klepach, co-Chairman of “Business Russia” Anton Danilov-Danilyan, head of the Department of international relations IMEMO Yakov Mirkin, Executive Director of IK “Arbat the Capital” Alexey Golubovich), as already reported, believes that within ten years increase the share of investment in GDP to 30% (from the current 18%). This can be achieved by increase in the money supply (assuming that the new money issue will not be directed at government spending and the target image will be used to promote investment, the authors point out). 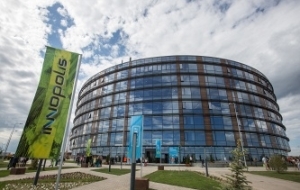 Experts of the Stolypin club offer of the Central Bank to refinance commercial banks and development institutions, and in return they have to Finance, for example, high-tech projects, public-private projects in the area of regional infrastructure development, construction of low-rise housing and other non-oil sectors of the economy. 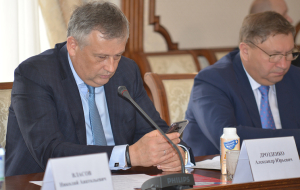 “According to experts, the volume of unsatisfied demand from the corporate sector for investment resources is not less than 1.5 trillion rubles a year”, — said the concept of the program “growth Economy” Titov. Experts suggest that spend and tax reform: for example, to reduce the taxation of investment and new business projects. While Alexei Kudrin said Monday that the idea of starting a program of “quantitative easing” in the spirit of the Stolypin club is not supported by its working group at the economic Council. 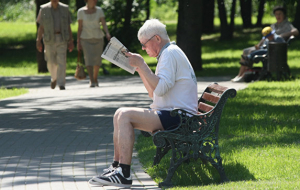 For economic development, and Kudrin and Ulyukayev propose to carry out pension reform. In particular, to increase the retirement age to 63-65 years old. 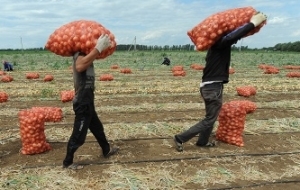 In addition, the Ministry of economic development insists, according to TASS, that the natural rate of unemployment should be reduced to 4-4,5%. To make the labour market more flexible, it is necessary to simplify the procedure of dismissal of employees, for example at the initiative of the employer for economic reasons. Kudrin also suggested reform of the public administration. About the need for such reforms the country’s leadership, as reported , spoke, in particular, the head of Sberbank German Gref. His ideas find support in the government. Officials, according to the reform conception, must change their thinking: now Ministers are asking more money in order to fulfill the orders, and it is necessary that officials know how to reach goals in different ways, using existing resources, that is passed from the execution of presidential instructions to project work. In Sberbank corporate University course on modern methods of management already listened to about 80 of the Ministers ‘ deputies. A similar reform of public administration the President will propose and the Stolypin club. “To realize the ambitious goal of change is impossible without changing the old decision-making system imported from the Soviet Union, and without care from the accumulated inertia of the negative experience of recent years”, — said the concept of his program. Experts headed Titov also propose to create a project system — control centre development, the Administration of growth”. It needs to manage the reforms and report directly to the President. In addition, Titov proposes to introduce a KPI for agencies coordinators of state programs, development institutions and state corporations. Kudrin proposes to reduce pressure of the judicial and law enforcement systems, and Titov — reform of control and Supervisory activities: to reduce the number of administrative investigations and penalties, change the KPI for regulators. According to the Ministry of economic development, that economic growth is possible while reducing the administrative burden and pressure of law enforcement bodies on business. In addition, the speaker will tell the President that it is necessary to limit the growth of tariffs at a rate below inflation and ensure a stable tax policy. Associate Professor of Finance, NES Oleg Shibanov believes that all concepts are doubtful, and very positive for the economy of ideas. Many of them are the same — it is pension reform, reducing the burden on business, etc. 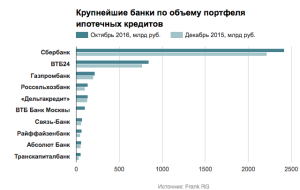 But it is unclear how, for example, be implemented Kudrin’s idea about reducing the number of state-owned companies and state-owned enterprises in the economy with a weak stock market and the difficulties with the implementation of large-scale privatization plans. Most, including among officials, discussed the concept of the Stolypin club. The Agency even sent her own observations. “It is likely that they will be held concept above: it has a long history of training, and the rest less developed”, — says Shibanov. But certain items cause a lot of resistance from officials and experts, which advises the government, is first and foremost a monetary issue. In the end, according to Shibanova, some of the ideas from each concept will be included in the medium-term strategy of economic development for 5-10 years.